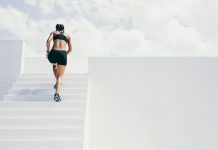 Unless you have been living under a rock for the last few decades, then you already know that high-intensity interval training, or HIIT for short, is an excellent way to get into the best shape of your life in as little as 30 minutes a day. Therefore, today I’m going to share with you one of my favorite intense treadmill workout routine, involving short bursts of max efforts separated by recovery breaks of easy to moderate periods. According to numerous studies, interval training is one of the best training methods there is to help you burn fat, and lose weight. In fact, doing this routine regularly—along with taking care of your diet—can help you slim down and achieve your desired body weight in the shortest time possible. Not only will this routine help you trim down, but it will also help you boost your speed and endurance, as well as sculpt your lower body muscles. Plus, it’s also ideal for beating the dreadmill syndrome and spicing up your indoor cardio workout routines. NOTE: Doing intervals on the treadmill is convenient, simple and scalable, therefore, feel free to adjust and play around with the speeds below as you see fit. Nothing is written in stone here. So be careful and use your own sense of judgment. 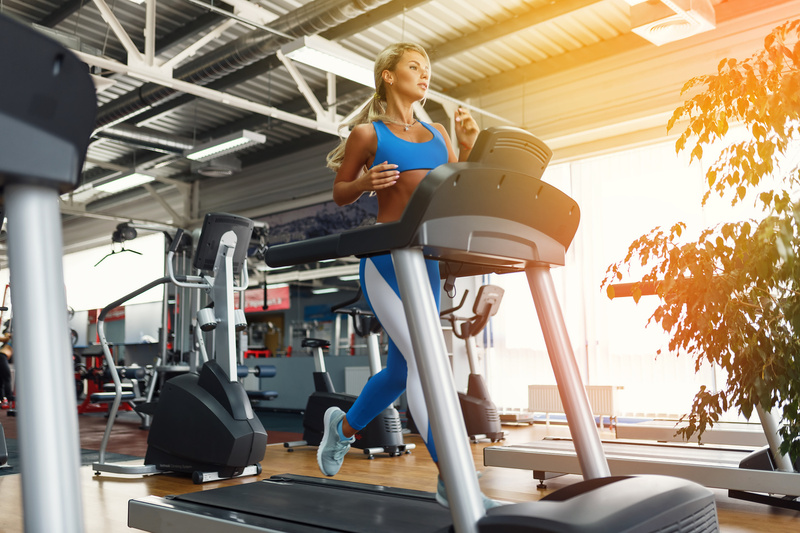 The treadmill routine I’m sharing with you today will have you alternating between sprinting at hard as you can for one-minute intervals then recovering with two-minute jogging intervals. This routine is going to rev up your metabolism, boost your endurance and speed, and raise your heart rate. In fact, I came up this routine for one sole purpose: to push out of your comfort zone. And by doing so, you will be burning some serious calories. You will be performing at least 8 rounds of high effort intervals, which is no easy task. Start the routine with the right warm-up. Run at a pace of 4.5 to 5 mph for 10 minutes and get your body ready for the intense work ahead. Don’t ever skip the warm-up. It’s the backbone of efficient and injury-free training. Increase your speed to 7 mph and incline to 2 percent and keep it up for the next minute. Make sure to practice good form here by keeping your back straight, head up and core engaged. This is your first recovery break. So slow down, hydrate and get mentally and physically ready for the rest of the workout. Increase your speed to 7.5 to 8 mph and incline to 3 percent and keep going strong for the next minute. Make sure to stay within your fitness level and remember that there is more intense work ahead. Slow down and recover. Make sure to hydrate, towel off and do an internal check to see if everything is okay. Listen to your body and adjust accordingly. If you can do more, then do more. Increase your speed to 8.5 to 9 mph and incline to 4 percent and keep going strong for one minute. This is your third break so make the most of out if it. Breathe deeply, check your form and fully recover by bringing your heart down to the 100 to 120 bpm before jumping into the next sprint. Increase your speed to 9 mph and incline to 5 percent and keep it up for one minute. 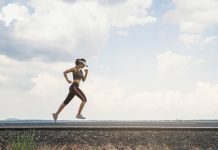 Practice proper running form here. Swing your arms back and forth, engage your core, and keeping running tall. Slow it down to a light jog and recover. 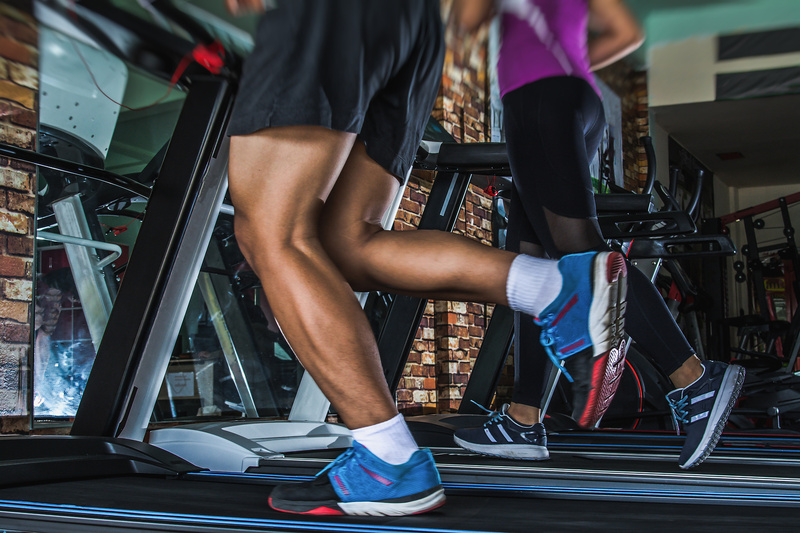 Increase your speed to 9.5 to 10 mph and incline to 6 percent and keep running strong for the next minute. If you can’t keep it up anymore, then slow it down. There is no need for you to lose form here and compromise your training. Slow down and recover for the next two minutes. Increase your speed to 10 to 11 mph and incline to 7 percent and run as hard and as fast you can for the next minute. Finish off your workout with a cool-down, jogging slowly for 5 minutes to bring your heart rate down and everything else back to normal. Featured Image Credit – Alexi Papalexopoulos via Flickr. credit and sources back to your webpage? My blog is in the exact same area of interest as yours and my visitors would truly benefit from some of the information you provide here. Yes feel free to do so as long as you are linking back the source, buddy.